A feast of mid-week football to enjoy on Tuesday night as Manchester United will be looking for revenge when they visit Wolves, who actually defeated the Red Devils in the quarter-finals of the FA Cup juts over a fortnight ago. There’s also horse racing at Lingfield, Musselburgh and Wolverhampton. 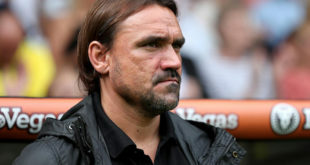 Wolves can be forgiven for taking their eye off the ball this week as they have a massive FA Cup semi-final against Watford coming up on Sunday and Nuno Espirito Santo might rest a few players on Tuesday with the weekend’s trip to Wembley Stadium in mind. 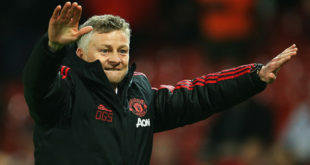 United are primed to take advantage as they keep finding ways to win games of football under Ole Gunnar Solskjaer, who has won 11 of his 14 Premier League games at the helm. Solskjaer’s men have won six of their past seven on the road in the league and they are 21/20 for a valuable three points. Monday’s treble landed at a handy 5/2 and we’ll bid to follow up with Tuesday’s offering, which includes a win for AC Milan. The Rossoneri have lost their last two games but they have won three of the past four at home and should be too good for Udinese, who have lost four away games on the bounce. Groningen look good value for the win against De Graafschap in the Dutch Eredivisie and we’ll take Swansea to beat Brentford in the Championship. The Swans have been in poor form of late but they remain rock solid at home as they are unbeaten in five at the Liberty Stadium, winning four. Brentford have lost three of their past four on the road. El Astronaute is tipped to soar on his first start of 2019. The 5-year-old impressed last season, not least when winning twice at York, and he is our top tip for the five-furlong sprint at 3.15pm at Musselburgh today.